As part of the Memorial Hermann Medical Group (MHMG), the Vanguard Urologic Institute-Memorial Hermann Texas Medical Center provides highest-quality care for patients in the Inner Loop and Texas Medical Center area. We provide comprehensive diagnosis and treatment for urological conditions, but the heart of our practice is caring and empathetic relationships with patients based on two-way communication and trust. Our team of specialists treats diseases affecting the urinary tract of both males and females as well as male reproductive organs. We provide prevention, diagnosis and treatment for kidney stones, urinary infections, prostate enlargement and other conditions. 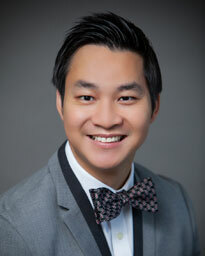 Dr. Dung Pham earned his medical degree and completed his residency at The University of Texas Health Science Center at Houston (UT Health) Medical School. He completed advanced training in pediatric urology at Baylor College of Medicine and Texas Children's Hospital in Houston. 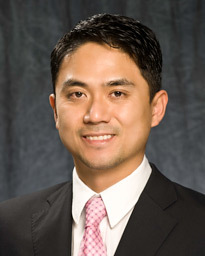 Dr. Pham uses minimally invasive laparoscopic and single-port surgical techniques, resulting in smaller incisions, minimal scarring and shorter hospital stays. 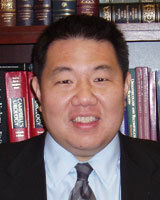 Dr. Tung Shu earned his medical degree and did a residency in general surgery at The University of Texas Medical Branch-Galveston. He completed fellowships in endourology-minimally invasive surgery-robotic surgery and in prostate-kidney-bladder cancer at Baylor College of Medicine in Houston and a third fellowship in urologic oncology with a focus on bladder and testicular cancer at Taipei Medical University in Taiwan. 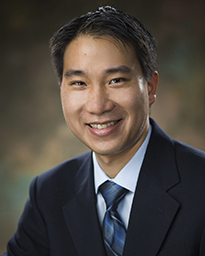 Board certified in urologic oncology, Dr. Shu’s primary clinical interests are minimally invasive surgery, robotics, kidney, prostate and bladder cancers, kidney stones, infections and other benign urologic conditions. He was the first physician in Texas to perform single site laparoscopic radical nephrectomy. Certified physician assistant Eugenia (Gena) Kelly earned her bachelor’s degree in kinesiology-motor behavior from Texas A&M University and her master’s in physician assistant studies from the University of Texas Medical Branch-Galveston. She works with medical and surgical treatment for disorders affecting the urinary system and genital tract of newborns, infants, children and adolescents. Certified physician assistant Orli Roth earned her bachelor’s degree in biology from Hofstra University in Hempstead, New York, and her master’s in physician assistant studies from the University of Texas Medical Branch-Galveston. She focuses on managing cases of prostate cancer, sexual health and incontinence disorders and other urologic conditions. Board-certified adult-gerontology acute care nurse practitioner, Leo M. Medina, earned his bachelor's degree in nursing as well as his Master of Science in nursing from The University of Texas Health Science Center in Houston. He serves patients ages 16 and up for urologic conditions. The Vanguard Urologic Institute-Memorial Hermann Texas Medical Center is conveniently located in the Memorial Hermann Medical Plaza between Fannin and Main at Cambridge. The building is right across from Memorial Hermann-TMC and near Rice University, Hermann Park and the Houston Museum of Natural Science. Ample parking facilities offer valet or self-park options and patient drop-off at the main entrance. The Memorial Hermann Medical Plaza garage, located directly across Fannin Street from the hospital, has Skybridge access to the hospital. Self-parking is accessible from the southern entrances of the garage off both Main Street and Fannin Street. Rates vary according to the garage; pay stations are conveniently located so that you may pay first before you leave.